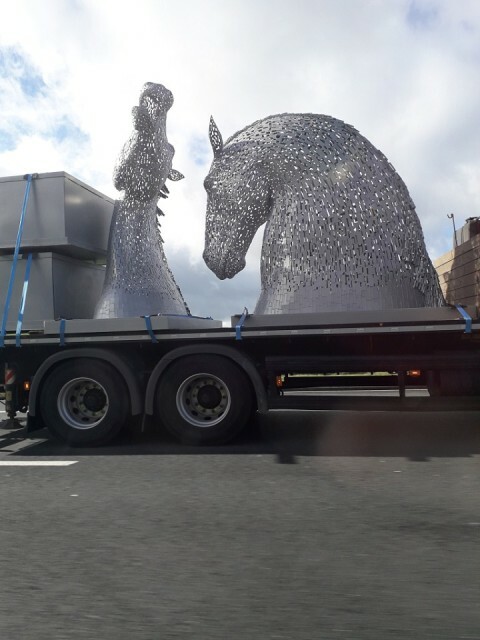 Driving up the M6 from a morning in Lancaster to home and we saw this wagon loaded down with two huge horse head sculptures. They were very impressive and certainly not a sight you see everyday. I do wonder where their final destination will be.